Can Medicare for All solve out-of-control health costs for businesses? I share his frustration and I agree with his facts; however, I believe there are actions we can take before we wait for the “Medicare for All” solution. A recent poll showed 80 percent of business owners believe there is nothing they can do to lower health care costs. I was in that category three years ago. I want to share some facts and thoughts as to why I now have less frustration, 25 percent lower health care costs, a better plan and an action plan to continue to control our future health care costs. The Affordable Care Act resulted in higher deductible/higher premium plans that employees can’t afford, and neither can employers. In fact, if you asked most employees what they thought of their health care plan they would say it stinks. Out of pure frustration and to do my own analysis, I had to learn the facts since, quite frankly, neither I nor my broker understood what was driving our health care costs. I was conditioned by the market to believe there is nothing we can do and that health care costs will only go up. Well, I’m here to tell you that’s not the case. We managed and understood every other aspect of my business down to the dollar. Now we can manage the cost stack of one our largest spending items for the first time. One of the key things we learned is that health insurers add on a fixed amount for their administration and profits (as set by the state insurance commissioner). As a result, insurers have no incentive to reduce costs, convincing me that premiums will continue to increase unless I found ways myself to lower the costs and to add programs that were not subject to administrative and profit markups. I spent the next three years learning about the health care industry and finding the right firms that will partner with us. We have reduced our costs so dramatically that last year that we were able to eliminate all deductibles for our employees and their dependents – and still reduce the premiums paid by the company, without changing our plan, doctors or network. We did not increase the contribution or copays paid by employees either. to use. It has helped our recruiting and retention. Our annual renewal meetings are now a celebration. We realized that we use expert consultants to reduce every other expense in our business, but we didn’t in health care. To be honest we didn’t know that consultants existed. Working with an expert consultant versus a broker will dramatically change the outcome for most employers. I encourage you to start managing this expense like every other expense in your business and you will start to see results. We have a group of local business execs who share best practices and meet monthly and we have similar success stories regardless of the number of employees. Our group, The CFO Forum, has had several meetings on health care. We continue to introduce new practices to help firms reduce the cost of health care without reducing quality. We are introducing two great optional offerings that bolt on to medium or large plans with programs that reduce costs for all parties. These are programs not generally available to brokers and not offered by the major insurance providers (because they lower costs, which affects a broker’s commissions and earnings). Gary Bender is a co-owner of an engineering firm, founder and CEO of peer group The CFO Solution and based in the Lehigh Valley. He can be reached through www.thecfosolution.org. 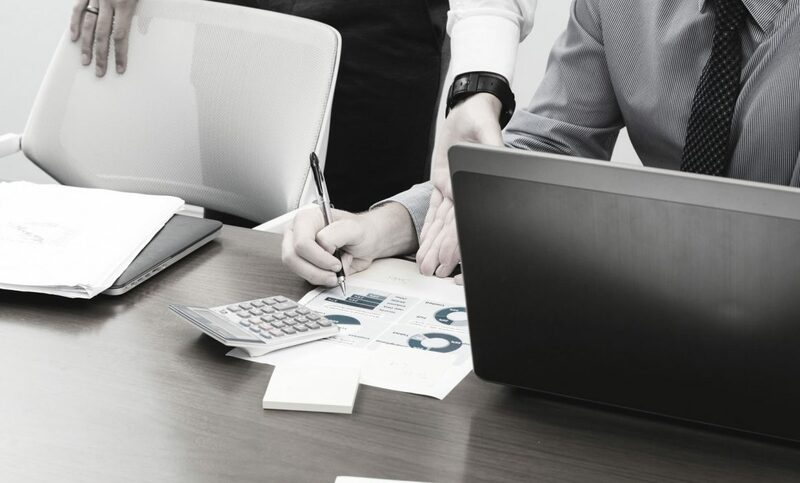 Widening Your Finance Lens | Gary Bender, CFO, SISD, Inc.
Not all finance leaders are highly skilled when it comes to knowledge sharing. In fact, very often senior finance executives struggle to make new knowledge connections as their responsibilities seem to routinely widen. Join us when career CFO Gary Bender explains how the special challenges finance leaders face led him to help establish not one, but multiple CFO knowledge sharing organizations. 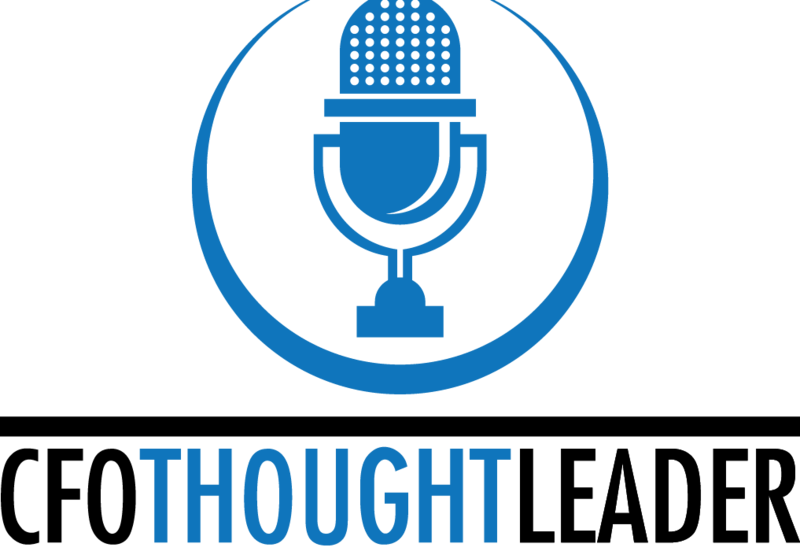 Listen to Episode 244 of CFO Thought Leader with Gary Bender Here! Employers have the power to reduce health care costs and improve their employee benefit plans. However, many are not aware of how to accomplish this task. Experts in the health care industry discussed this topic and many more at a recent health care conference that explored the latest insights in employer direct contracting, benefits adviser leadership, corporate health-risk innovation and a range of other issues. The 15th annual World Health Care Congress in Washington, D.C. attracted more than 950 health care executives, including one local expert who spoke on two panels during the three-day conference, which ended May 2. Gary Bender, founder and CEO of The CFO Solution in Quakertown, was one of four chief financial officers who attended. Health care benefits providers invited him to talk about how the C-suite level executive evaluates and makes decisions on health care plans. 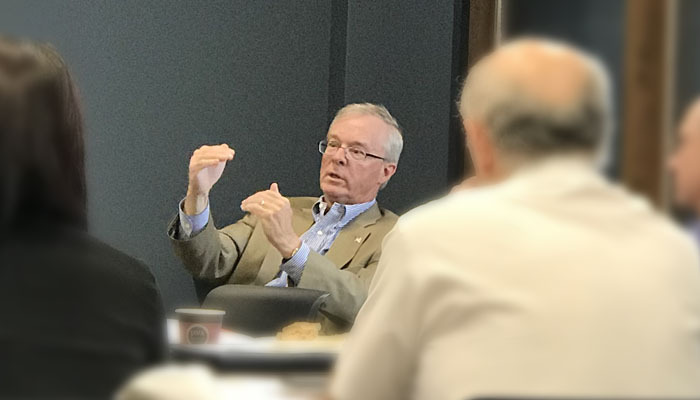 “They wanted the perspective of a finance exec on benefits management, and I was honored to share the experience of my firm and the impact that CFO Forum is having on other privately held companies,” Bender said, referring to his monthly program offered by Manufacturers Resource Center. “I attended most of the sessions and was amazed at the efforts to improve health care offerings. The conference gathered leaders in health care, including providers, researchers and government and agency officials, as well as pharmaceutical and service providers. They explored a variety of topics, such as trials and programs that are underway, as well as discussions of culture, policy and economic enablers and barriers, Bender said. Health care is one of the largest expenses for a business, but there are alternatives to always buying the same plan, he said. Bender said he focused on ways to drive down health care costs for private companies and their employees, and shared these details at the conference. The group of executives that comprise the monthly CFO Forum meetings publish their best practices in the CFO Solution, Bender said. He said he implemented a few best practices at an engineering firm in New Jersey that he owns and eliminated all deductibles for employees and gave them a benefit plan they could afford to use. As an example, he said, his engineering firm, which has 23 employees, reduced its employee health care deductible from $6,000 to zero and maximum out-of-pocket costs from $15,000 to $1,150 per year by implementing these best practices. Creating best practices allows for the reduction of costs for the firm and employees and their families without a reduction in the quality of the health care services offered, he added. According to Bender, companies can reduce their total costs by 25 to 40 percent and cut costs for employees and their families while maintaining or even improving their health care plan. “These are nontraditional approaches largely because the major carriers and the broker advisory industry have goals to maximize their revenue and profits, not to reduce the costs to the companies or their employees,” he said. See original article published at LVB.com.